NEW EDITION. 2013 Chart No. 1, Nautical Chart Symbols Abbreviations and Terms, incorporates the symbols used by the International Hydrographic Organization (IHO), while listing alongside them the currently preferred U.S. symbols used by the National Ocean Service (NOS ) and the National Geospatial-Intelligence Agency (NGA). Also shown are IHO symbols and symbols used on foreign charts reproduced by NGA. 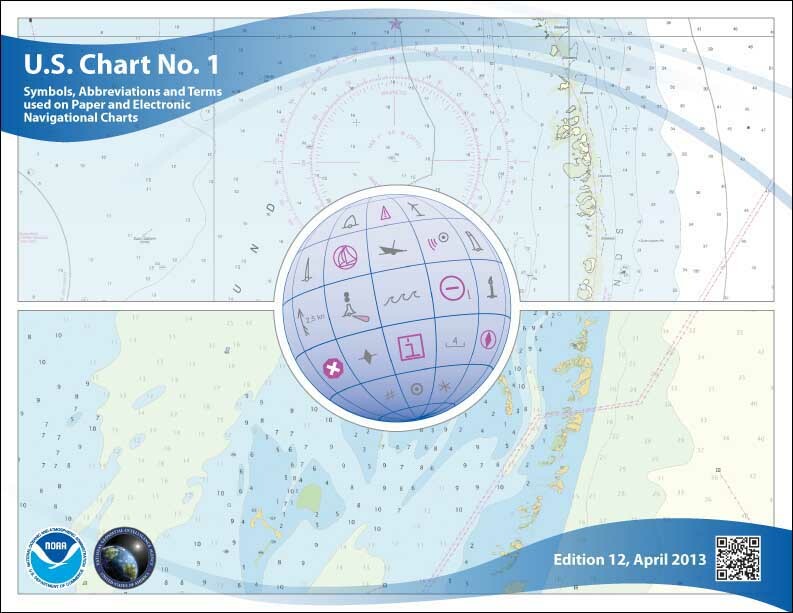 Additional sections show the typical layout of NOS charts, as well as examples of charted tide levels and other charted tidal data. 12th Edition. 8-1/2" x 11". Spiral Bound.